The biggest and most obvious issue with the Chromebook: If you can’t get online, it’s virtually useless. This is problematic, to say the least, if you travel to far flung locales or work in places with limited ‘net access. For some tasks, like watching streaming videos, you don’t only need an internet connection but one that’s of a certain quality and speed. Also worrisome: The selection of Chromebook software is limited. Google has been doing—and surely will continue to do—an admirable job creating free or low cost apps. Google Docs, Chrome’s equivalent to Microsoft Word, is excellent. The Chrome Web Store has all sorts of programs from games, to accounting or photo management. But it is a drop in the bucket in comparison to the software choices available for Apple and, especially, Windows. Twitter management software such as TweetAdder, powerful graphic design software like Photoshop, complex multi-player games such as The Sims—none of those will be available for the Chrome OS anytime soon. Certain functions are also simply slower when they are performed online compared with doing them locally on your computer. To get as sense of this, try doing a name search of all your emails on Gmail and then try the same in Outlook. With a Chromebook, all your files, mp3s and software apps are on the cloud (that is, stored on remote servers and accessed over the internet). This means that you don’t have to worry about backing up your Chromebook hard drive. Nor do you have to go through the process of installing, uninstalling or updating software. On Chromebooks computer visuses virtually become a non-issue (for you, not so much for the techs running your cloud services). Further, Chromebook’s cloud orientation means you have access to virtually unlimited storage space for your files. Chromebooks are also perfect for multiple users. Because the software and other data is all online, one person signing into a Chromebook could have computer experience with look and with access to one set of files and programs; another user could then have a totally different look and file access on the same Chromebook laptop. (Indeed, once you are set up on a Chromebook you could log onto your friend’s Chromebook and the user experience and software functionality would be exactly like your own). All of the Chromebooks have flash (SSD) drives. Between the light Chrome OS and the fast drives, this means that Chromebooks boot up very quickly, typically in 8 to 10 seconds. We’d point out too the the trend of technology is in the Chromebook’s favor. Increasingly, music is being stored and played over cloud services, such as Google’s and Amazon’s. Amazon also has a movie streaming service (that’s free to all Prime users) as does Netflix. 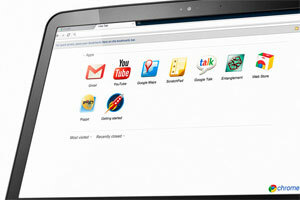 And the Chrome OS will support popular services like Pandora music and Skype video and phone calling. One common question: Are Chromebooks more or less secure than laptops that do their computing on a local hard drive? Yes. And no. As explained under Advantages (above), Chromebooks aren’t subject to the virusus that the Apple and, especially, Microsoft operating system are. Also, if some one steals your Chromebook they won’t have access to any of your personal data; that’s because your personal data is all online and not on the Chromebook hard drive. The problem with all your personal data being online is that, well, all your personal data is online. Google claims to have taken herculean steps to protect your information. But no security is foolproof. Two manufacturers have announced that they’ll be making Chromebooks: Acer and Samsung. 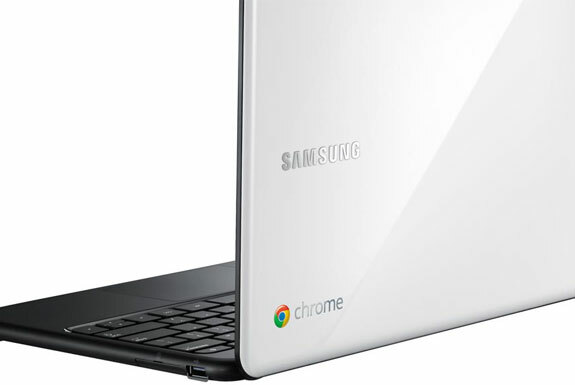 Both manufacturers will ship Chromebooks to consumers on 15 June 2011. Both offer the same processors and many of the same features. In the United States both will be sold through Best Buy and Amazon, with the latter of the two likely being slightly less expensive. For people who spend most of their computer time online, the Chromebook is brilliant. Surfing the web, sending photos, playing music, getting and sending emails, updating blogs, playing Angry Birds—the Chromebook is supremely well suited for all these tasks. Yet, with all the disadvantages to the Chromebooks we listed, there’s a large segment of computer users who would be frustrated with a Chromebook as their primary computer. (Anyone who does graphic design work, for example). Yet even these people may want to consider a Chromebook for a secondary, inexpensive and lightweight travel-around-town netbook. The super low cost of software together with the ease of accessing your Chromebook files from any internet-connect PC or Mac machine make a Chromebook a near-perfect second computer. 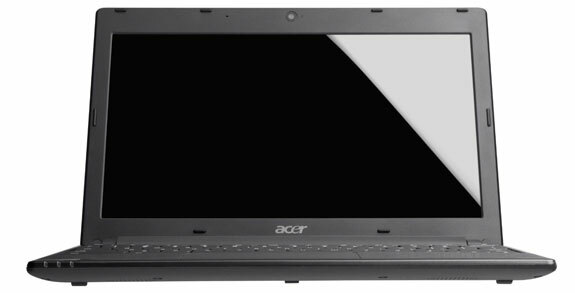 If getting the smallest and/cheapest option is of paramount importance to you then, obviously, you should go with Acer. 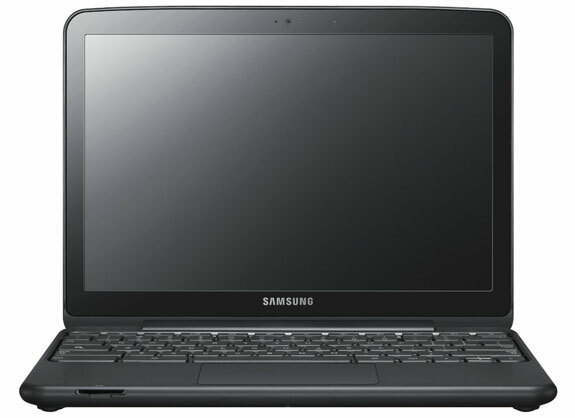 Otherwise, Spot Cool Stuff suggests the Samsung Chromebook. We think the extra 2.5 hours of battery life is, in itself, worth the extra $80. Then add to that the Samsung’s superior looks and larger screen size and you have a computer well worth the money. In the end, though, both Chromebook brands are so similar in terms of speed and functionality that you can’t go wrong with either. Now two weeks into my ACER Chromebook. It has exceeded my expectations in every way. Once you figure where the delete key lives . I streamed a movie to my 46″ HiDef TV using the Chromebook HDMI port. Extremely impressive. Worked every bit as well as my Windows 7 desktop. As I mentioned in an earlier post, the lack of HDMI excluded the Samsung for me. G-Mail, Google Docs and Picassa on the cloud are functioning perfectly. I changed to this from a late model Dell Laptop that my Daughter had need of. So far, zero regrets. @Geoff – Yes, no HDMI i nthe Samsung… deal breaker for sure. Curious… do they have an input for a hardline internet connection? How much work can you really do without the internet anyway? I have internet everywhere I go and if I don’t I assume I’m not getting anything done anyway. Prices will come down, bugs will be fixed, in a year these will be an obvious buy. Acer has HDMI and Samsung does not? That’s a dealbreaker to me. I tried the online search test using my gmail account and my desktop outlook. Both have the same email in them. The gmail search took around 2 seconds. The outlook search took 39 seconds. How is it that the online searching works much faster than the desktop. I have a new very expensive desktop computer. I assume that this Chromebook will get similar results in the gmail online search that my desktop got. Depending on your Outlook setup, searches may be faster or slower than Gmail. With a large Exchange mailbox accessed through Outlook I had through a past company, search was useless as it wouldn’t return any decent results for several minutes! Same size mail box on Gmail, and a search completes within a few seconds. I think that we aren’t ready for chromebooks; we need our laptops to be able to work perfectly even without Internet access. So, for the time being I’ll personally won’t buy a chromebook. Just a minor thought, who owns the documents, etc. that you create on-line and can you be guaranteed exclusive and ongoing access to them?